One of our Australian readers has informed us of dramatic rises in bike insurance premiums imposed by the Government, particularly for learners and riders with motorcycles of up to 250cc. Insurance premiums have increased by up to 85.5%, from AUD 252 to AUD 465 per annum. Up to 540,000 bikers are affected by this massive insurance premium increase in Australia, which represents another attempt by the public authorities to make money out of motorcyclists, who use a greener and less congestant mode of transport. At a time when Governments are looking for ways to increase revenues to cope with budget cuts, they are just desparate for the money and prepared to hit any group of citizens, even those who are keen to benefit the environment. Australia is not the only country where the public authorities have imposed anti-bike measures to increase revenues. In London (England), Westminster City Council decided two years ago to introduce a stealth tax on motorcycle parking that thousands of bikers have been fighting against, making the working life of the local councillors complete hell. Demonstrations gathering thousands of motorcyclists have been taking place almost every month causing enormous disruption in central London and beyond. Weekly flash demonstrations have also been taking place during rush hour in the mornings and evenings where protestors ride their bike as if they were driving cars, i.e. remain stationary in traffic and refrain from lane splitting to cut through the same traffic. Enormous traffic jams are instantly created which inevitably delay thousands of Londoners desparately trying to make their way to work or back home from work. While the pressure on the council is increasing daily to force the authority to scrap the bike parking tax, motorcyclists are more determined than ever to continue to cause severe disruption in London until this evil piece of anti-bike legislation is scrapped. In French speaking Canada, thousands of bikers protested during June 2010 at the introduction of increased registration fees, making the cost to purchase a new motorcycle ridiculously high in a view to discouraging bike use. The bikers gridlocked all the major roads around the Quebec capital thus preventing traffic from entering or exiting Montreal and causing enormous traffic jams everywhere. The angry motorcyclists then entered Montreal en masse and gathered just outside the Transport Ministry of Quebec to express their anger at the public authority, that had failed to recognise the benefits that bikes bring to the environment, including zero congestion and reduced pollution. The Quebec Transport Ministry decided to introduce higher registration fees for motorcycles in a pure attempt to discourage their use, claiming that they represent a more dangerous mode of transport than others. So thousands of angry bikers decided to go down the streets of Montreal and protest en masse. The bikers were rewarded for their efforts a couple of weeks later, when the authorities gave up and announced full scrapping of the registration fee hikes. We are amused by this latest attempt of the Australian Government to impose a dramatic increase in bike insurance premiums at a time when the Quebec authorities have precisely failed to introduce a similar scheme with motorcycle registration fees. Bikers form a highly united group of road users who are prepared to stand up for their rights and fight against any authority that dares to treat them like cash cows. 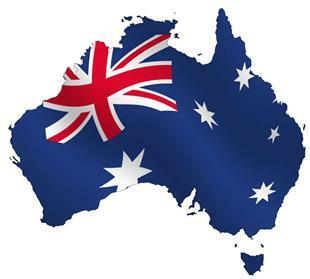 We won’t be surprised if Australian bikers follow the example of their European and North American cousins and organise bike demonstrations throughout Australia soon, stay tuned. This is an outrageous hike in insurance premiums & australian bikers should unite & fight this imposition with the originality & nuisance causing tactics shown by their french, british & canadian counterparts. Governments world wide need to be made aware that taking on bikers, scooter riders / motards, scootards is never a good idea. The authorities in Quebec have learnt this lesson & London’s Westminster Council are coming to realise the error of their ways too. Nothing can be achieved by moaning about it – we’ve got to take to the streets & really make a nuisance of ourselves but do it legally & peacefully. The authorities, it appears, are totally unprepared for a status quo like this. That’s bloody crazy, i’m sure you Aussies, won’t stand for that, good luck with your protests, show them you aint going to bend over and get shafted ! !